Olympus has revealed its plans for the upcoming Focus on Imaging photography show taking place at the NEC in early March. The show will be the first official chance customers will get to see the new Olympus OM-D E-M5, and there will also be a range of activities to join. For Saturday night telly geeks, James and Ola Jordan from Strictly Come Dancing will be appearing to help celebrate the launch of the new camera. A number of experienced Olympus photographers and editorial staff from several photography magazines will be at the stand to answer questions and provide photo critiques. Live demonstrations of the OM-D will be available, along with demos of the PEN cameras which were announced last summer. Special show offers will be included for the PEN E-PL3 (Pen Lite) and PEN E-PM1 (Pen Mini) models. A photo competition will also be taking place throughout the duration of the show - more details to come soon. Called "Spirit of Focus", the company is looking for the best shot which encapsulates the imaging show. 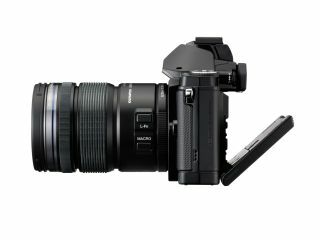 The Olympus OM-D E-M5 was announced at the beginning of February and is the company's new Micro Four Thirds camera sporting a 16 million pixel sensor, built-in EVF and a new 5-axis image stabilisation system. Not scheduled for release until April, Focus will be an early opportunity to test out the new camera. We will be at Focus on Imaging for the duration of the show bringing you all the latest news, hands-on and reviews. Stay tuned.